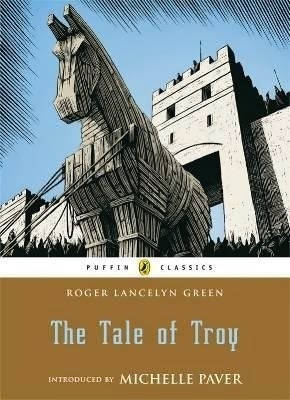 The Tale of Troy enjoys the status of being one of the oldest and most acclaimed stories in the world. The great city of Troy is beleaguered by the enemies and the narrative revolves around the heroes on both sides who do the best that they could to change the fate of their respective sides. Some Gods and Goddesses use their mystical powers to expedite and impede the efforts of the mortals. Three of the leading Goddesses get into a contest to determine who among them is the most beautiful, while the marriage celebrations of Peleus and Thetis are going on. These three Goddesses are - Hera, Athena and Aphrodite. They designate Paris, a Trojan mortal to pick the fairest of them all. To strengthen their claim on the title, all three of them make unique offerings to Paris and one of them offers Paris, the world's most beautiful woman - Helen of Sparta, wife of the Greek King Menelaus. Paris accepts this particular gift which becomes one of the reasons leading to the Trojan War and eventually to laying the foundation of Rome. This story becomes the famous mythological fable 'Judgment of Paris'. One gets to understand the inter-twined stories of heroes like Achilles and Odysseus. Achilles is the son of Peleus and Thetis and Thetis does all that is in her power to make her son immortal and his body becomes invincible but for one part, which becomes the reason for his doom. 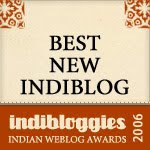 One tends to see some vague similarity between Thetis and the queen Ganga. It is quite interesting to understand how Achilles heels became such an important part and the connotation that they stand for, even now. Odysseus plays a very active role in the fall of Troy, though not as an active warrior. He accomplishes all the three tasks that are set in order to capture Troy. He persuades Achilles' son to join Greeks in the battle, he uses his trickery to get Philoctetes and finally he comes up with the master plan of pretending to sail away from Troy and leaving behind an enormous wooden horse with Greek soldier hidden inside it. This enables Greeks to enter Troy and defeat the Trojans. Some readers may get put off by Greek mythology initially simply because of the deluge of characters and names that get introduced in the beginning itself. But as one delves deep into the folds of what lies underneath, one cannot afford to not appreciate the various layers of human character - strengths and vulnerabilities, treachery and devotion, mortality and immortality and these are the precise faculties which form the annals of history. If one is looking to start reading and understanding Greek Mythology, 'The Tale of Troy' is a great simplified version of Homer's 'Iliad' and 'Odysseus' to pick first. It will gently nudge one's curiosity to dig deeper and drink more. Great review, Vibha. Interesting comparison between Thetis and Ganga. Having just chewed my way through Rick Riordian's Percy Jackson books with all those Greek gods, this would make for an interesting reading on the classical period. Of course, most of us know the story about Troy, and the great war, but not all the details. Will pick this one up for sure.